This is a sponsored post written by me on behalf of Kids II for IZEA. All opinions are 100% mine. 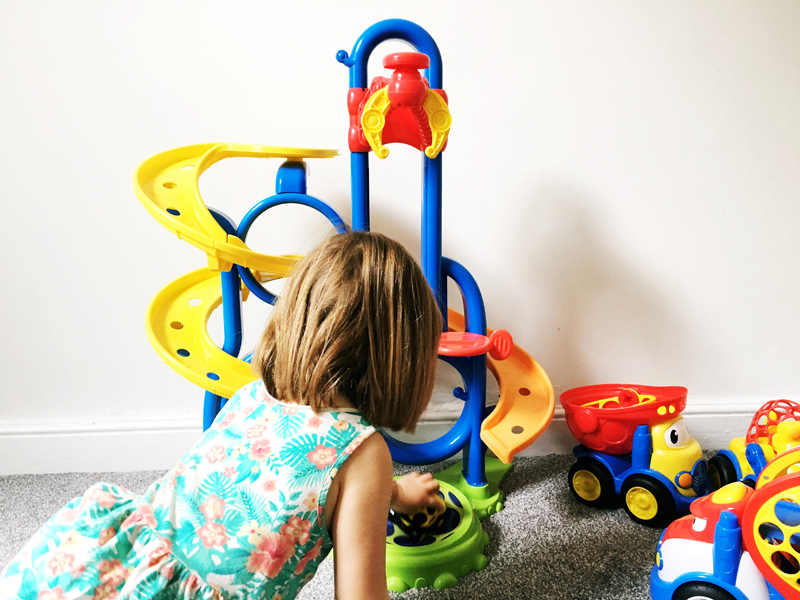 Since becoming a mum almost five years ago now I've long since accepted that our house would be rammed full of toys and clutter. I tend to think a sign of messy room is often the sign of a good weekend (or is that me making myself feel better?). We're lucky that I was the first out of my four siblings to have a child and so I inherited a huge bunch of toys from the five of us. That and the fact that my job often entails reviewing toys then you can imagine I have two very lucky kiddos. I've mentioned a bunch of times before but I'm also really lucky in that I live on a cul-de-sac full of similar aged kiddos. Us mums can hang out, have a coffee and a chat whilst our kids (that range from 10 months to almost 5) can all play together. 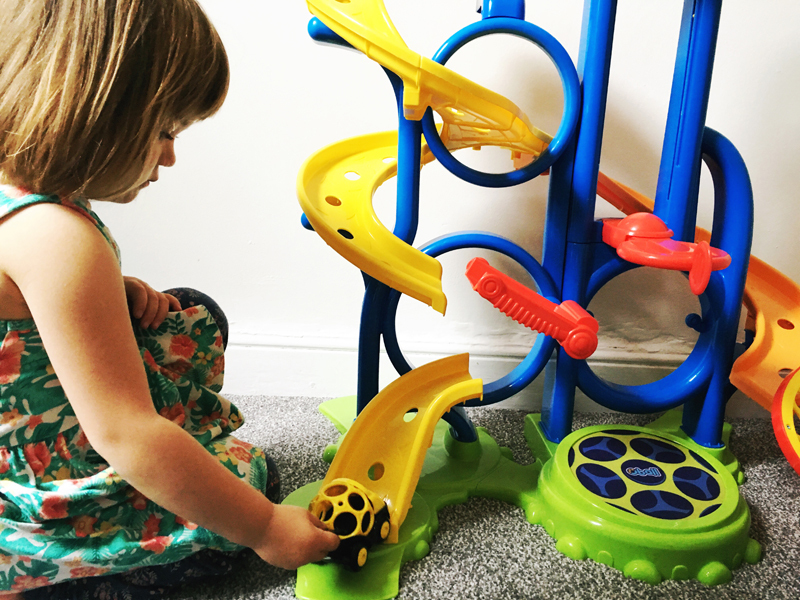 When Oball approached me to work together on testing out their Go Grippers range I knew it would be great one be able to introduce as a toy for some of the younger ones. Wilf has his friend Stella come round and play a lot (you can see her in this post actually when Stella was just walking and they were both two years younger!). The Go Grippers toys are aimed at 2 to around 3 (like Stella is) having said that when we unpacked the box Wilf was more excited about them than anything I've seen in a long time! Oball actually started out making baby balls and rattles with the clever easy-to-grasp weblike design. 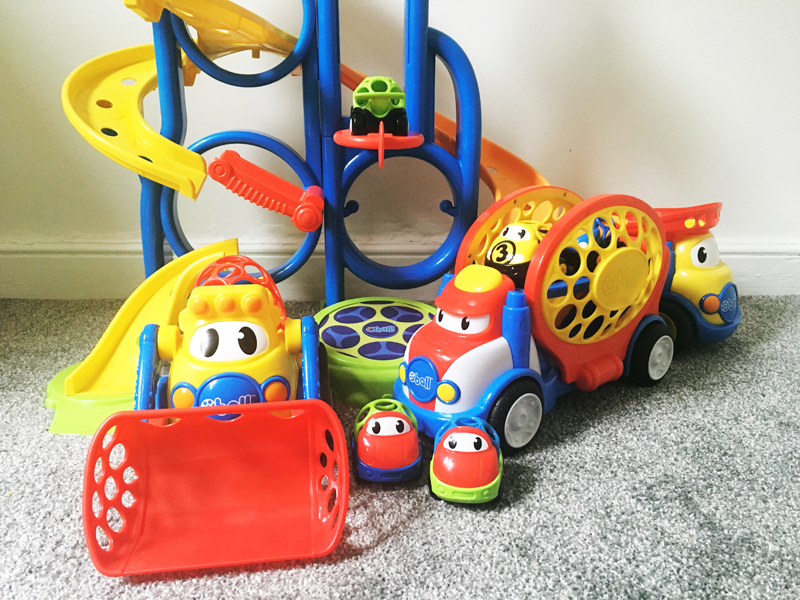 From their they extend their range to activity centres and then to slightly older kids toys in the Go Grippers car range. 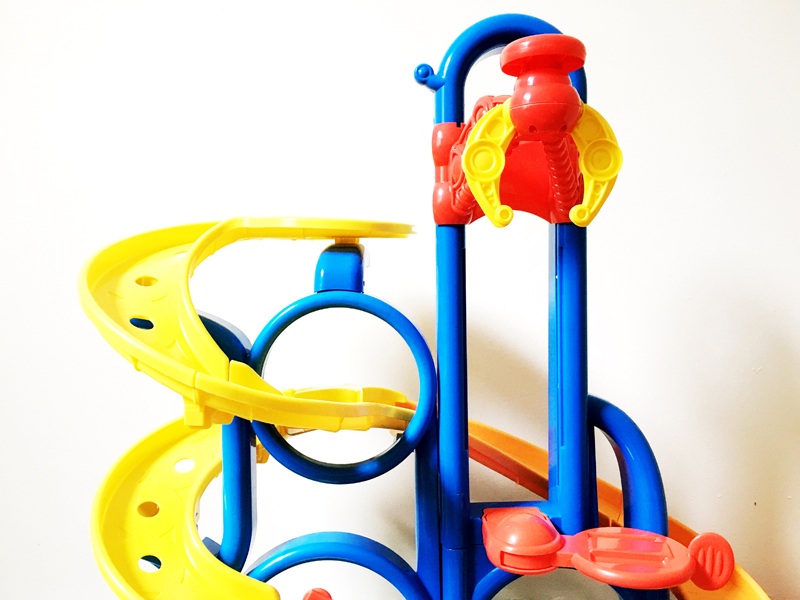 The Bounce & Zoom Speedway (pictured) is such a great toy to spark imagination and watching the kids play together I heard them negotiate which cars would go down which track and for what reasons and that the car carrier was actually the mummy of all the little cars. I love hearing kids play and chat together, their conversations are so funny! You can see a video of the Bounce and Zoom Speedway below if you fancy seeing it in action. Stella and Wilf loved the fact that the cars bounced off after zooming doom the track. It added a level of peril to their games ha! I actually have a giveaway for one reader to win the Go Grippers set pictured. 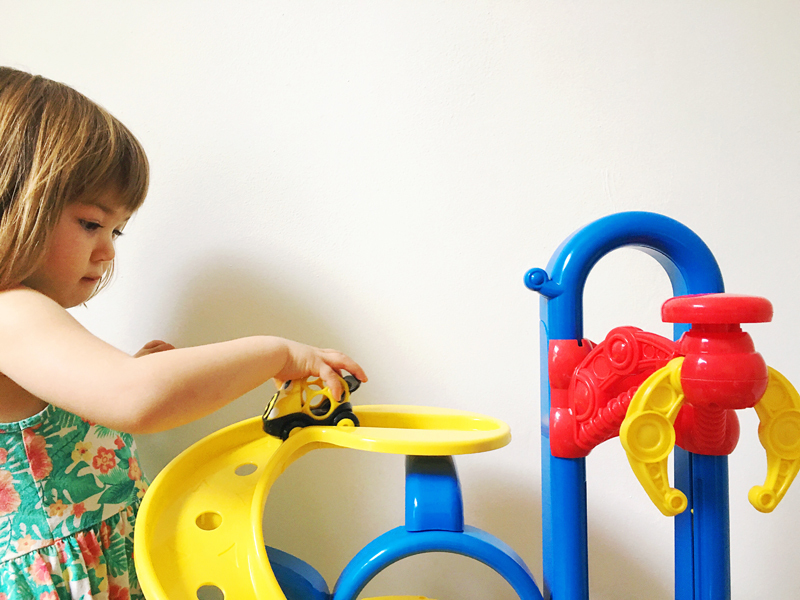 This includes the Oball Go Grippers Dump Truck, Oball Go Grippers Loader and Oball Go Grippers Bounce 'N Zoom Speedway. Also the race car set and additional car set. Phew! That's a lot of toys! The total for all the above comes to just over £100. In association with Go Grippers from Oball, all words, pictures and thoughts are my own. Definitely the bounce n zoom speedway! He'd love it! What a neat toy, my little guy would love all of them, especially the dump truck!